To AMENRA, aesthetics are not merely supplementary to the musical experience but essential to it, and for their monumental new album MASS V, they have surpassed themselves. Today we can now proudly unveil the artwork for the album which will see the light of day on 26 November on Neurot Recordings. “In november 2012 we went out wandering through our own and neighbouring countries. Looking for the perfect setting for the artwork to the new album. After a couple of days our trail ended at the village of Wissant in North France. The site is a gathering of destroyed bunkers from the second World War. The force and strength coming from these weathered constructions was overwhelming. Concrete blasted to pieces, hundreds of bulletholes everywhere, the salt and sand were once covered in blood.We drew respect from these stone temples, this once, was a world of pain. We stayed overnight at the site and slept on one of the bunkers just so we could get swallowed by the sea as tide came in and when the dawn brought first light, Stefaan Temmerman took the picture we knew was going to be perfect to represent our MASS V.
22nd of December – Ancienne Belgique, Brussels Belgium – record release show sold out in 4 days! Don’t forget, on 28 September AMENRA will release their first live CD on Consouling Sounds which can be pre-ordered here: http://consouling.be/ra_live.php. 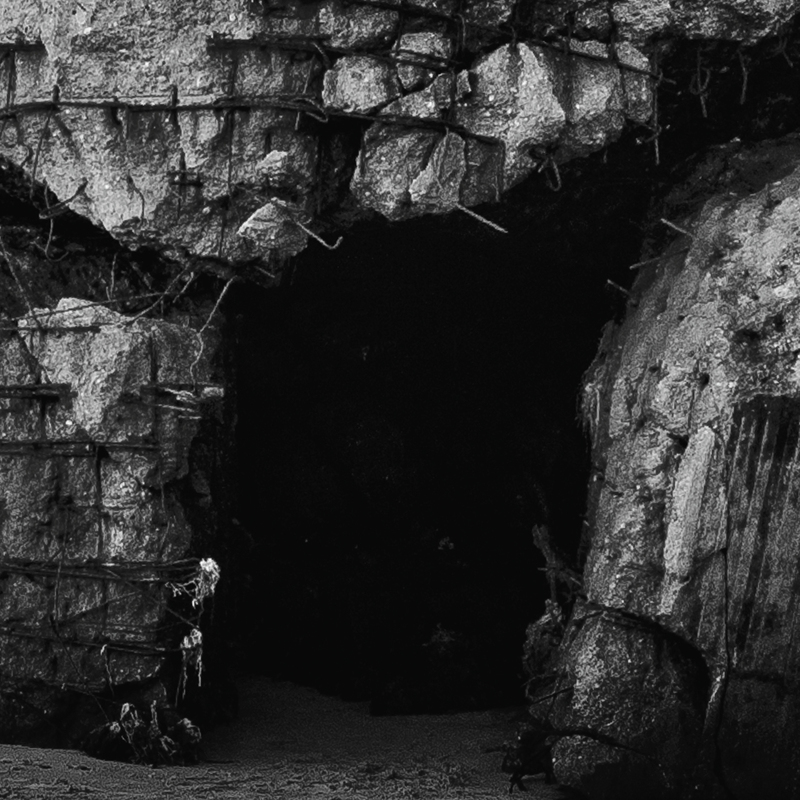 Their own webstore address is http://www.soulslayer.net.Still to come from AMENRA, full details of the new album Mass V and much more exclusive audio and visual footage, so stay tuned. Anticipation is really starting to build as plans come together for the release of Mass V, the titanic new album from AMENRA which will see the light of day on Neurot Recordings in UK/EU on 26 November. Today we can reveal plans of upcoming live performances including one spectacular release show in their home country Belgium. AMENRA’s activity for 2012 will culminate in an umissable record release show on 22 December at AB in Brussels. 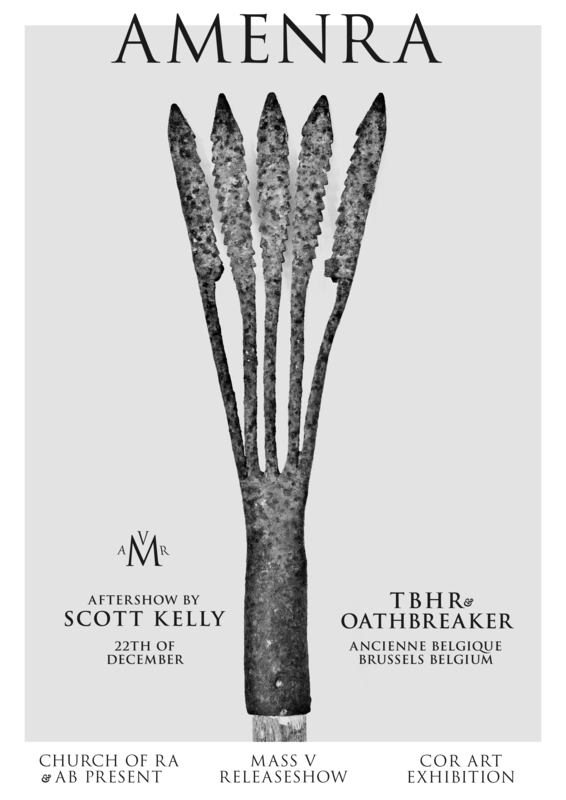 Supporting them will be Church Of Ra bands, Oathbreaker and TBHR, with a very special after show by Scott Kelly. Edwin Pouncey will be speaking about subterranean metal and there will be a very special Church of Ra art exhibition including monumental art, video, photography and more… this is not your average release show! Fans will be able to purchase a limited exclusive version of the album with coloured CD and limited art which will only be available at this show and through their own webstore. For this, AMENRA have unveiled this tantalising teaser for the release show including unheard sounds from the new album: http://www.youtube.com/watch?v=0-sxcODUawg&feature=youtu.be. Finally, on 28 September AMENRA will release their first live CD on Consouling Sounds which can be pre-ordered here: http://consouling.be/ra_live.php. Their own webstore address is http://www.soulslayer.net. Still to come from AMENRA, full details of the new album Mass V and much more exclusive audio and visual footage, so stay tuned. 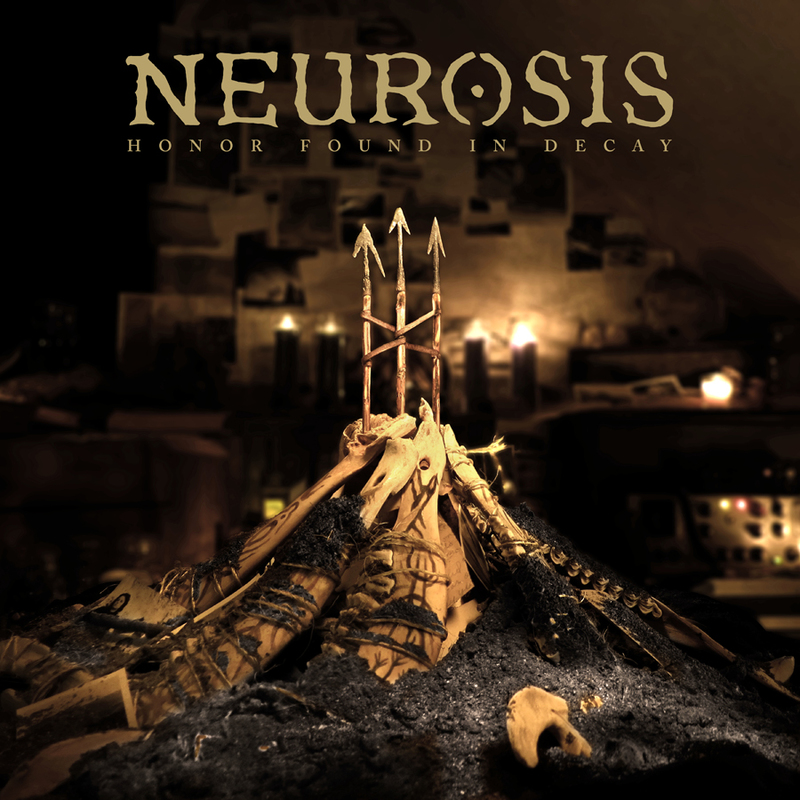 Honor Found In Decay will reaffirm to the planet why NEUROSIS remain one of the most important heavy acts in existence. The album will emerge through the band’s own Neurot Recordings, in the UK/EU October 29th, with their cohorts at previous label home Relapse Records confirmed to handle the vinyl release of the album. 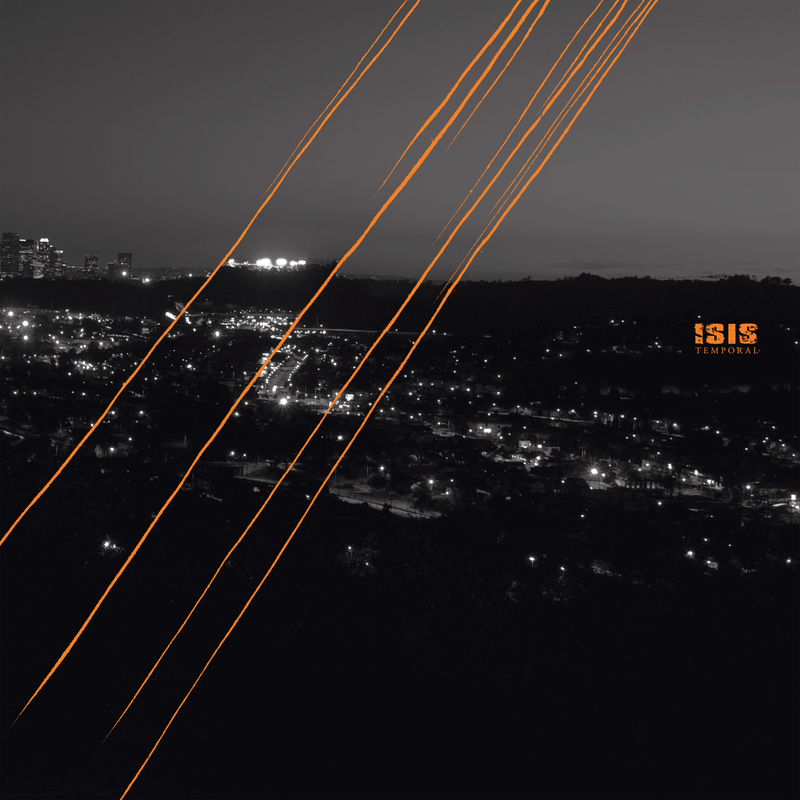 The track listing for ISIS‘ Temporal, a collection of unreleased rarities, remixes and videos spanning the band’s thirteen year career, features 14 songs spread over two discs and five music videos on an accompanying DVD. Aaron Harris, Jeff Caxide and Clifford Meyer recently partnered with Chino Moreno (Deftones) to form Palms. The band’s debut album will be out in early 2013 via Ipecac. Aaron Turner’s Old Man Gloom released No in late June and he will be touring the U.S., Japan and Europe this fall with Old Man Gloom and Mamiffer. Mike Gallagher continues on with his solo project MGR as well as scoring films, most recently 22nd of May.